Here’s our visual guide to the walk from Dartmouth to Greenway and Dittisham, a famous hike along the Dart Valley Trail. 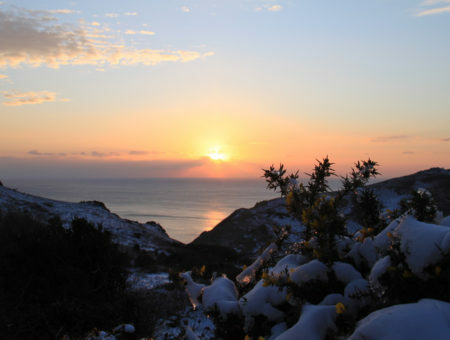 This circular walk is considered one of the very best when it comes to showing off the natural beauty of South Devon. This is a challenging walk with many steep ascents and descents, but stunning views of the Dart Valley and beyond mean it’s well worth the effort. For a shorter version of this walk, we recommend taking a break at Dittisham, stopping by the popular Ferry Boat Inn or the Anchorstone Café, both of which sit right on the water’s edge and offer wonderful views of the river. Alternatively, take the opportunity to visit beautiful Greenway House, run by the National Trust, and sit down for a snack in the delightful café. Find out more about the village of Dittisham here. Distance: 10 – 12 miles depending on exact route. 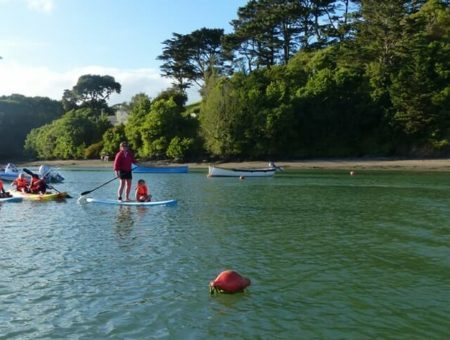 Views: Stunning river, estuary and coastal views as far as Torbay, taking in unspoilt farmland and seemingly endless forest. Terrain: Pavements, roads, grass and rocky paths which can become muddy at times. Very steep ascents and descents. Destination: Back to Dartmouth, or stop at Greenway or Dittisham and take the ferry home. 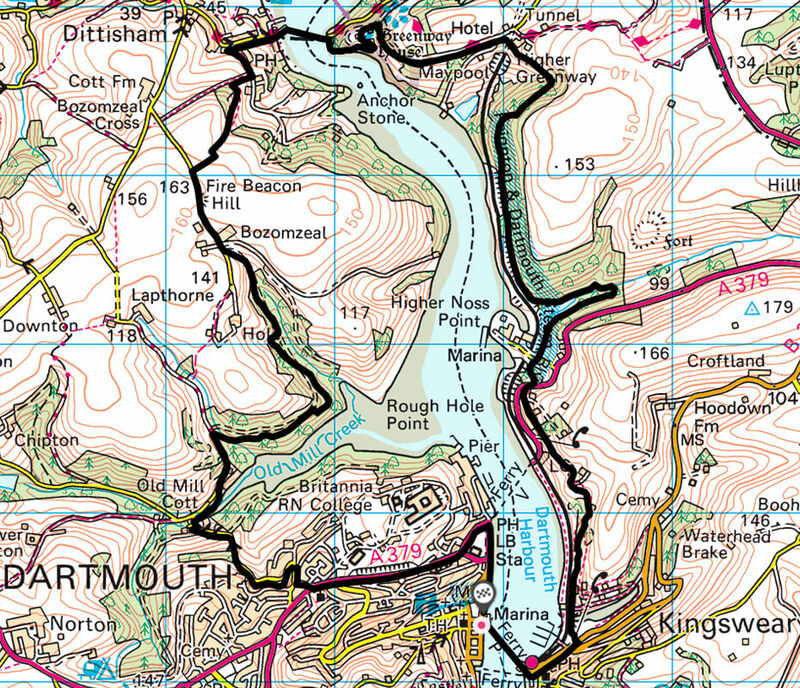 To view the OS map for our Dartmouth to Greenway and Dittisham walk, please click here. Looking for a comfortable holiday base in Dartmouth? 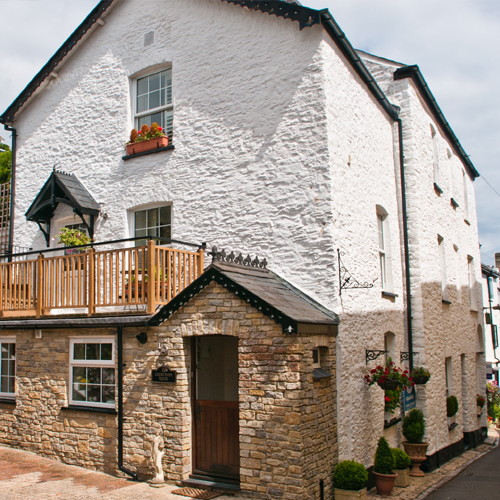 Courtyard House is a picturesque property located just a few minutes walk from the waterfront. Sleeping up to four, this detached bungalow is available from just £536 p/w. 1. Head to Dartmouth Quay and take the passenger ferry across to Kingswear (it’s £1.50 for a single adult ticket at the time of writing). 2. Opposite Kingswear Village Stores, you’ll see some signposted steps down towards the boatyard. Take these steps. 3. Turn right and make your way through the boatyard, keeping to the marked path. 5. Don’t forget to look back towards Dartmouth for a lovely view! 6. At the rail crossing/Higher Ferry port, turn right and follow the road uphill. Take care as there is no marked footpath. 7. A few hundred yards up the road, just past the public toilets, you’ll see a path leading upwards into the forest on your right. Take this path. 8. Follow the Dart Valley Trail signs through the forest. Turn left when you come to a driveway, signposted for Greenway Ferry and Maypool. 9. You’ll come to a road. Cross straight over, taking the footpath opposite that leads downhill. 10. Follow the path through the forest, following the Dart Valley Trail signs. Follow the permissive footpath sign to the right and go over the stile. 11. Turn left and make your way down the path on the edge of the field. 12. Exit the field at the bottom and turn left, following the sign for Greenway Gardens. 13. Continue straight on, following the sign to Greenway. 14. You’ve reached the Greenway Estate. Go through the gate. 15. Don’t forget to have your camera ready! To your left is a famously beautiful view of the Dart Valley. 16. Continue along the top of the field and go through the gate to your right. 17. Continue until over the brow of the hill and start to make your way left down the field. 18. Carry on towards the gate at the bottom of the field. 19. Take the path left. 20. When you reach the road, turn right and head along Greenway Drive towards the official Greenway entrance. At the end of the road, turn left and head downhill towards Greenway Quay. 22. The road from the Quay passes between the Ferry Boat Inn and the Anchorstone Café. So take your pick or continue straight up the hill if you’re keen to push on. 23. A few hundred yards up the hill, take a sharp left onto Rectory Lane. 24. Shortly afterwards, turn right onto the track. 25. A little way up the hill, turn left and go over the stile. 26. Follow the trail along the edge of the field. Once again, the views are magnificent! 27. Go over the turnstile. 28. Go over the next turnstile and carry on through the field. 29. When you reach the road, turn left. 30. Turn left, following the sign for Old Mill Creek. 31. Follow the waymarkers through the fields. 32. Walk along the field with Dartmouth ahead of you. You’ll come out at Green Lane. Turn left and head down the hill. 33. A little way down the hill, turn right onto the footpath. 34. There are no benches along this stretch, but if you’ve brought a rug with you, there are some great spots for picnics! 35. Cross this field diagonally to your right. 36. Head into the woodland. Be advised the terrain in this section can be loose and uneven. 37. Follow the trail, passing by a lake to your right. 38. Continue through the pine forest. 39. Take a left at the Raleigh Estate information board. 40. When you arrive at Old Mill Creek, cross the bridge and follow the road uphill to your left. 41. Continue on this road until you arrive in Townstal. Ready for more challenging walks that showcase the best of the region’s natural beauty? 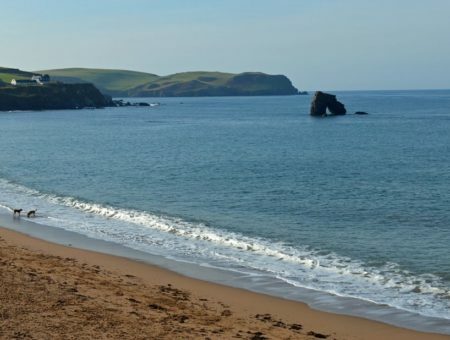 How about this walk from Dartmouth to Blackpool Sands? Dartmouth makes a fantastic base for those who love a scenic walk, whether that’s a relaxed stroll around the picturesque harbour and town or a challenging trek over the hills. Take a look at our Dartmouth holiday homes now.